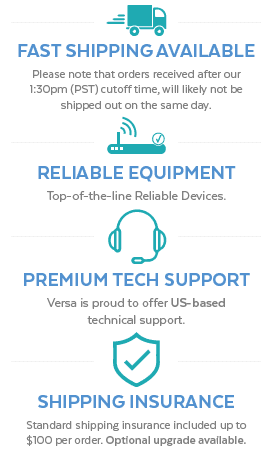 Versa Technology offers the VX-Pi100 802.3af Power over Ethernet (PoE) Injector that operates with all access points that are 802.3af PoE Compatible. 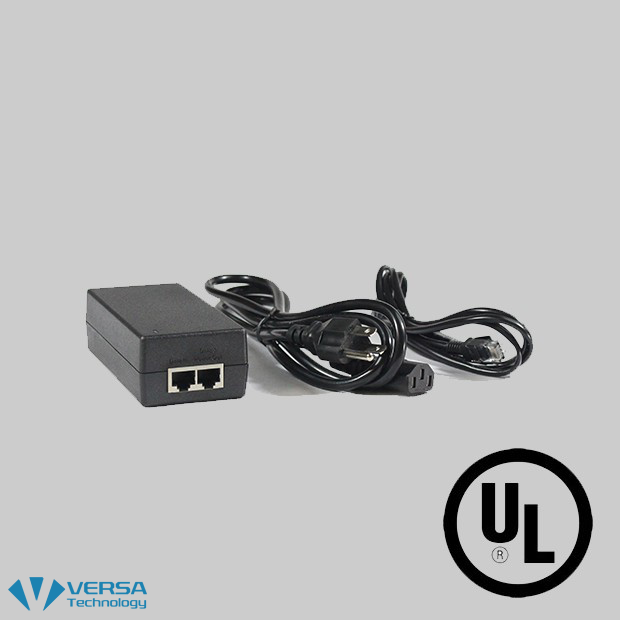 The VX-Pi100 is self-contained with both a Power over Ethernet PoE Injector Adapter and a power supply. 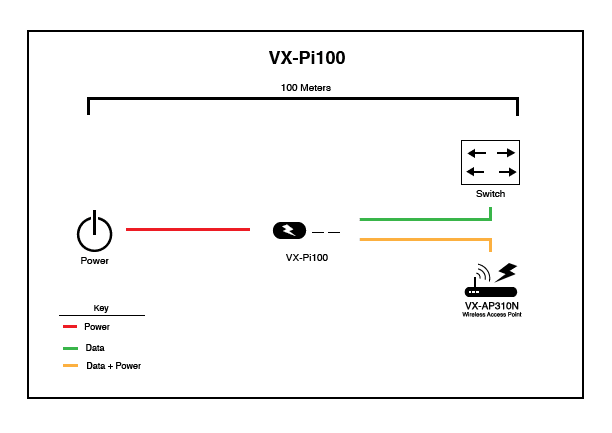 The VX-Pi100 also has 100/240VAC support and supplies 48VDC to all units for PoE. The VX-PI100 PoE injector supports up to 48 volts and .5 Amps for a total of 24 Watts. This PoE Injector can be used with VoIP Phones, IP Cameras, Access Points, Media Devices and many other PoE Compliant devices. The Versa Technology VX-Pi100 Poe Injector Adapter injects power over pairs 4, 5, 7 and 8. 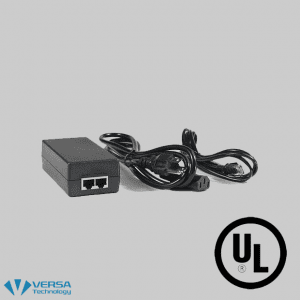 This unit can be used with all Cisco 802.3af POE Compatible devices, including Cisco IP Phones and Cisco Wireless Access Points. 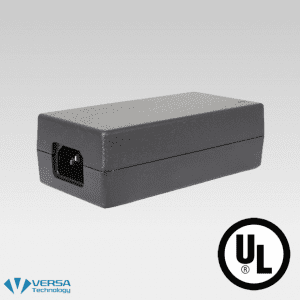 This Midspan POE Injector also provides Auto Recovery and Short Circuit prevention from over-voltage. 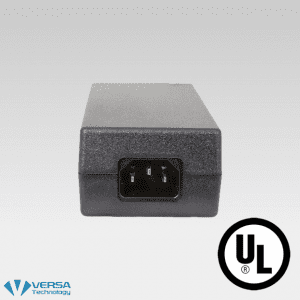 The VX-Pi100x Series Power over Ethernet (PoE) Midspan product category offers an affordable and fully IEEE 802.3af compatible solution that allows for the upgrading of existing solutions using PoE. 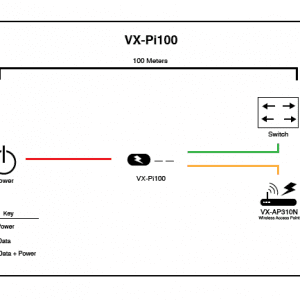 Midspan Power over Ethernet Injector VX-Pi100x Series allows IP telephones, wireless LAN access points, security network cameras and IP terminals to receive power and data over standard Ethernet cables, leaving a network infrastructure completely unaltered. 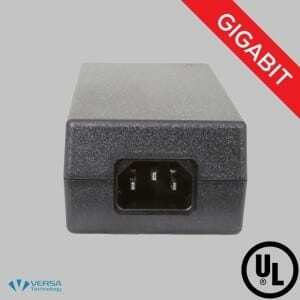 PoE simultaneously relays data and power smoothly and securely over a single LAN cable with no interference. A PoE injector resides between the Ethernet switch and the data terminals and delivers data and power from switches to powered devices. It is a highly effective means to inject power into existing LAN cables. VX-Pi100x series POE Power Supplies are fully compatible with the IEEE 802.3af PoE definition standard and provides a minimum of 15.4 Watts of power through each port to ensure safe operation of any standard PoE data terminal. 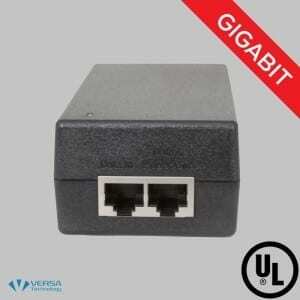 Our most popular power over Ethernet injector networking device is now available with bulk pricing. Order 20 or more to receive steep discounts.